If your holiday has been ruined by sickness, you may have read that you could be entitled to make a no win no fee claim. However, many people now questions whether no win no fee really does mean what it says. 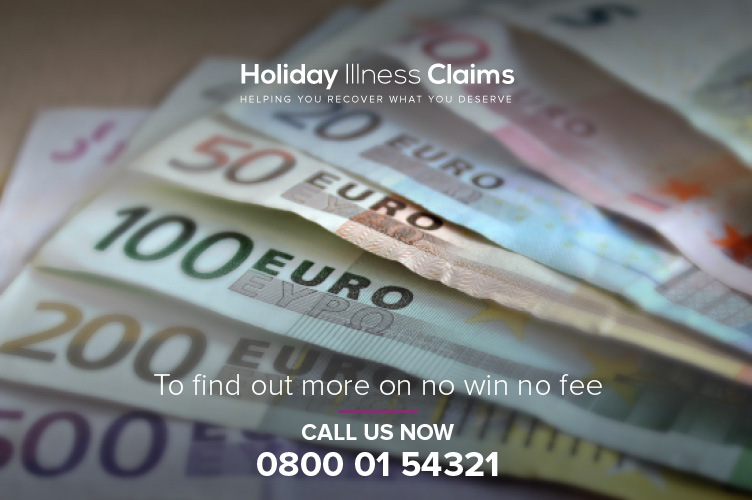 In this article, the experts at Holiday Illness Claims explain our no win no fee policy for holiday claims. What do we mean by no win no fee? A no win no fee policy protects a person making a claim from having to pay any legal costs for the other side should their claim be unsuccessful. Here at Holiday Illness Claims our no win no fee policy is simple, in the unlikely event that your claim is unsuccessful you dont have to pay a penny to anyone. In order to protect you from paying any legal costs, we recommend taking out After the Event Insurance. The cost of the insurance premium is £185 + IPT Tax totalling £207.50 and will simply be deducted from the compensation you receive. This means that dont have to worry about making any upfront payments. The cost of the insurance premium may increase in some higher risk cases, for instance if the claim goes to court. The maximum cost of the insurance premium is £425. The insurance premium is only payable if your claim is successful. If your claim is unsuccessful, you will not have to pay the insurance premium. For more information on how to receive the maximum compensation for your claim, take a look at our holiday sickness compensation guide. When can you make a no win no fee claim? If a holiday illness or accident has ruined a holiday which took place in the last 3 years and was booked as a package, you may be able to bring a no win no fee claim for compensation. You will be protected by the Package Travel Regulations 1992, which state that your tour operator is responsible for the hygiene failings of the hotels it promotes. So if you believe your holiday has been ruined by illness or an accident, speak to the dedicated solicitors at Holiday Illness Claims for advice on whether you can make a claim. If youd like to talk to one of our legal experts about making a no win no fee claim, call us now on 0800 01 54321. Or, if youd prefer to arrange a call-back with a member of our team, you can complete our online holiday claim form.